In this litigious society, it isn’t worth the time, money, or headache to use a real person when writing fiction, unless the character is used as a colorful extra, or the person has given their permission. I won’t even write a review of a book or play that I don’t like just because I really don’t want the hassle of somebody’s nose getting out of joint. And remember: Silence speaks volumes. When I worked as a newspaper reporter on the Whitehaven Star in Memphis, I told the truth, the whole truth, and nothing but the truth. Facts backed up what I wrote. I never worried about being sued. That being said, the bottom line is that I wouldn’t go out of my way to run somebody down in print, no matter how idiotic I think they are. I’ll give them the benefit of the doubt that they know they’re a moron, so why waste the ink. I also won’t shame anybody or point out his or her flaws in public. It doesn’t do anybody any good. If I don’t like them, I ignore them. If I like them and they are a tad odd, I would rather protect them and their quirks. Of course, if you are talking politics…all bets are off. But I don’t go too far out on that political limb in my stories, either. I use historical fact and let that tell the story. If a reader has a different view of history, that’s their problem. My name (or a close facsimile) turned up in a book, Tommy Gun Tango, written by a friend, Bruce Cook, who wanted to use my hyphenated name for a character. The girl is wild as they come, not necessarily based on my personality, but hey, maybe Bruce knows something others don’t know. (You can wait for my memoirs.) But seriously, he did ask permission to use a variation of my name. I told him I’d be happy to be a potted plant in one of his books, so go ahead. Next to never have I started a character based on somebody in a current news story, but if I chanced to take a fraction of somebody’s tale, I would invariably flesh out the character and make him or her into my own creation. My story would take a totally different path, too. After all, we have been inundated with the wall-to-wall coverage of high profile cases in the news for decades, who would want to read yesterday’s news? Since I wouldn’t be privy to the motives of the people involved in real stories, I would be making it all up anyway. So I prefer to create the entire character on my own. It’s the character’s inner feelings that I want to capture and then craft my own story about who they are and what they do. That makes the character real to me and hopefully to the reader. Actual people might be a starting place, even if their characteristics are totally off the wall. But I would rather create my own people with motives I think fit the part they are playing in my story. And anyway, when the character takes over the writing, which they do, they can fill in the blanks themselves. In my Ginger Caulfield novels (Media Justice, Hedge Bet, and Damning Evidence), I definitely use my husband, Richard, as the character Fred; and Gin Caulfield is mostly me, personality-wise. My agent at the time asked if I would deepen Gin’s character. In “agent-speak” that means give her a flaw, something gritty. So, I had to add some backstory to make Ginger a slightly darker character. It does make her more interesting and I have added sub-plots using this flaw, so it works. But the creativity is mine. I’ll take the arrows if it doesn’t fly. How about you, my fellow writers? Do you use real people – family, friends, or someone in the news in your writing? Do you have a good lawyer? What inspires a writer to write? Money? Maybe. But unless you’re a best seller,earnings aren’t necessarily inspirational. Fun? A lot of writers consider what they’re doing to be enjoyable, and who doesn’t like finding a way to amuse oneself? Learning something? Maybe. Depending on what you’re writing, it nearly always helps to do some research to ensure that what you say makes sense–or that you find a way of explaining it if it doesn’t. Teaching something? Sure. Whatever your subject, you may know a lot more about it than your reader, or at least you know more about your angle on it. Let readers know what your story and its contents are all about. Then there’s “just because.” And I think that’s what motivates me. Just because I enjoy it, letting my mind wander a lot of the time coming up with ideas that maybe someday can be crafted on the computer into a story. Just because I can. I used to be a full-time lawyer and a part-time writer who scooped an hour out of every morning before waking husband and kids and eventually heading to work. Now, I can write full time. Just because that’s now who I am–a writer. So my inspiration is a bit unsolved. I’m inspired by everything I do, everyone I know, everything I learn, to let my mind figure out what can be used in stories… and then write them. Thomas Alva Edison is said to have come up with the now renowned quote “Genius is one percent inspiration, ninety-nine percent perspiration.” So am I a genius? Not literally. Yes, I grab onto inspiration. I admit to not perspiring much at my computer since I have an air conditioner nearby. But figuratively–I do spend a lot of time at it, and that can be considered a kind of perspiration. Still, I’m no genius, but I am a writer who’s addicted to what she does. 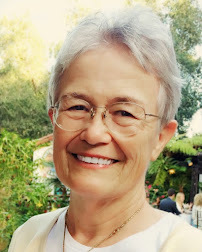 Linda O. Johnston, a former lawyer who is now a full-time writer, writes the Barkery and Biscuits Mysteries for Midnight Ink. 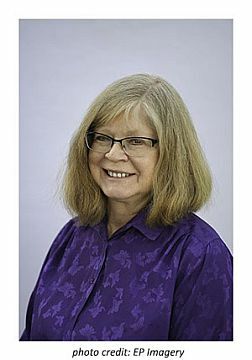 She has also written the Superstition Mysteries for Midnight Ink as well as the Pet Rescue Mystery Series, a spin-off from her Kendra Ballantyne, Pet-Sitter mysteries for Berkley Prime Crime. 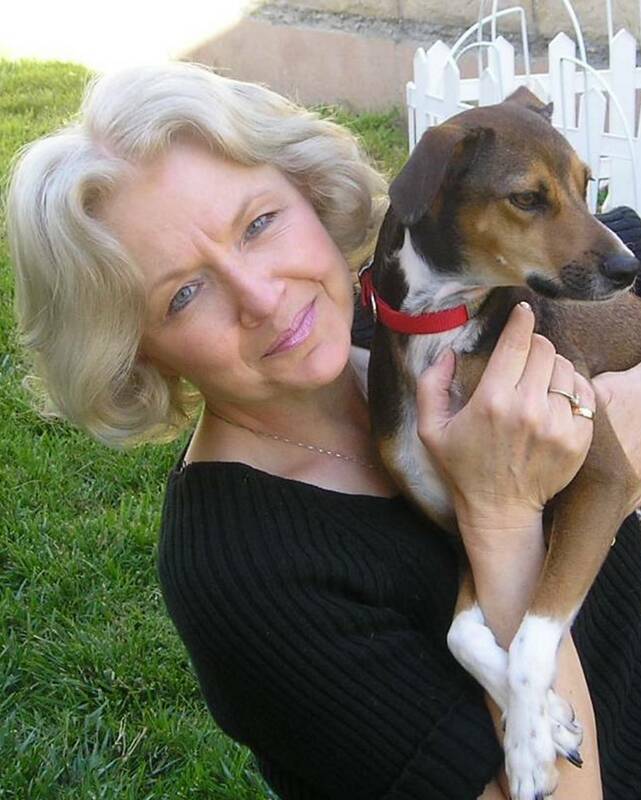 She additionally currently writes the K-9 Ranch Rescue miniseries for Harlequin Romantic Suspense about a ranch where dogs are trained, as well as the Alpha Force paranormal romance miniseries about shapeshifters for Harlequin Nocturne. And yes, they all involve dogs. Her most recent release is her 48th published novel, with more to come…soon. “How come you know all that?” people sometimes ask, after reading my history-based books. I’m not sure. I mean, at school I didn’t find history that interesting: reciting dates of dead kings and assorted battles. Instead, I’d gazed out of the window as the rain drizzled down, recalling some old Hollywood movie I’d seen on television – trying to figure out how I could possibly ever live in Tinsel Town. So I certainly didn’t catch the history bug in school. Although, once I left school and started travelling, I became fascinated by the history of the old buildings in London that Charles Dickens wrote about, or Paris and Victor Hugo’s world. I’d caught the bug. And when, after more travelling, I was finally living in Hollywood, California, I became captivated by the history of this movie town, where I found myself working at Warner Brothers, Paramount Studios, and Universal Studios. I drive by Charlie Chaplin’s old studio often and think about his early days there. The Magic of Hollywood had been in my blood all my life. I recall my mum’s stories of when she was little and she would pore over the Hollywood movie magazines. She remembered the adverts for ‘eye black’ and the little round tubs of Bourjois rouge, and other cosmetics that movie stars Clara Bow or Jean Harlow bought – allegedly. I used a lot of this information in my Lottie Topaz novels about Hollywood in the 1920s. Funnily enough, only last year, I met Jean Harlow’s hairdresser. At a Jean Harlow Celebration at the Woman’s Club of Hollywood, I had invited Alfred Pagano to speak to the enthralled audience. Alfred was 100 years old – still charming and dapper. He had turned the young Jean Harlow’s hair that legendary peroxide blond, helping to create the first Blond Bombshell. He explained that he had experimented and used household bleach mixed with Lux soap flakes to create that color! So I filed that tidbit, and many other things he shared with me, away for my writing research. I realized that this is how I know all this ‘stuff.’ Not from sitting in a classroom, but by being ‘out-and-about’ and talking with people. Listening to older people’s stories is a great source of inspiration for me. We get clues and ideas from asking family members. The older generations are a font of information and memories for us to mine. Family storytelling is becoming a lost art that we really must encourage and revive. Mind you, I have spent hours in various libraries, looking at archive records and especially photos. They tell us so much. A picture really is worth a thousand words when you study the background, what people are wearing, how they were living. I do, of course, “Google” people, places and things. It’s so easy to do. Although I learned that Google tracks and follows every key stroke you make. Then I get those annoying adverts all over the place from prior searches of mine. I feel like I’m being followed. I am. Bing.com is a good alternative – and a newer search engine called DuckDuckGo.com that was started by Gabriel Weinberg in 2008. These two search engines say they value your privacy and don’t sell you information, so your search gets you the information you’re looking for, not what the top payers want you to see. Old magazines and newspapers are a great source of ideas and research. I look for old magazines in Thrift Shops. It’s amazing what people get rid of. Skimming through articles in 1940s magazines can result in some nugget of information that triggers my imagination for a new story. Then I follow the clues; names of old organizations that have archive libraries, old department stores that have long been razed and replaced by anonymous concrete towers. Going back into their history, one finds odd little stories of people that lived or worked there. Bits of information that most would consider irrelevant, but that spark a story idea. There are so many specialist magazines that have an eclectic assortment of articles or adverts. I never know where I will find something curious or interesting. Family Tree Magazine is a great source of genealogy, with articles on so many professions of yesterday, town histories, and letters from readers trying to trace their great-great grandparents and long-lost relatives. I sometimes envy writer friends working on contemporary stories. They don’t have to research, unless there is some special skill involved. It’s much easier to write things set in present day, because we write about our every day life without even thinking about it. But the journeys I am taken on, once I start researching something, are true adventures. It’s easy to get side-tracked by a notice in the paper or an old advert. Obituaries are wonderful sources for inspiration, when you read of a life encapsulated. I could spend my entire day doing research, without ever writing a word. It takes discipline not to get led astray and back on that yak-shaving train……. Spring has finally arrived. The season of renewal. Rebirth. Intensive house cleaning. Today I’m cleaning out the attic, a.k.a. my brain. Feel free to take what you want from the pile. I’ve been so impressed with my fellow WinRs. Jackie Houchin bravely entering the world of book publishing. Jill Amadeo sacrificing personal glory to ghostwrite someone else’s story. 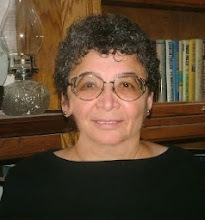 Gayle’s generosity in sharing her excellent writing tips. Linda’s encouraging words about writers’ groups. Then there’s Rosemary’s wonderful “Yak Shavings” and the heartfelt way she shares her life with readers. And Madeline’s musings on writing always inspire me. In fact, Madeline’s recent post sparked an idea, which I promise I’ll get to eventually. I’m about to lose the cooking channel from my cable subscription, so I’ve been semi-binging on my favorite competition shows. I often hear contestants stress the importance of passion in cooking. To me, passion is fine, even helpful if you want to work in the food industry, but it doesn’t make the cut for the top three criteria of a good cook. I’ve known plenty of people who are passionate about cooking and aren’t very good at it, while others who have no passion for it are quite good. 1 – An understanding of the ingredients. Anyone can go into a store and buy food, whether an apple or a piece of fish. Knowing how to distinguish quality, and which variety will be best for its intended purpose, is the beginning of good cooking. 2 – A knowledge of cooking techniques. You can start with good ingredients, but they’ll be wasted if you don’t know what to do with them. Knowing how to use those ingredients, season and prepare them, is fundamental. This knowledge can often salvage less than pristine ingredients, like that fish you forgot about for a few days. 3 – (This may be the most important of all, although I never hear it mentioned.) You have to eat good food. Good food doesn’t necessarily mean haute cuisine or the latest “it” dish. It can be burgers, branzino, or blini. It’s food that’s prepared with skill and care, whether in a Michelin starred restaurant, the corner diner, or Grandma’s kitchen. Which brings me back to Madeline’s post about reading books by great authors and learning from them. If you’ve read my earlier posts, you know I’ve frequently recommended re-reading the authors who’ve inspired you to write, writers whom you’d like to emulate. It bears a similarity to sitting down to a great meal in a restaurant, or watching a talented chef prepare a dish on TV. You learn from theirskill and care. Like cooking, writing requires the same three qualities: an understanding of the ‘ingredients’ that make a good story, a knowledge of the techniques of good writing, and most importantly, reading good books. Much like eating a fine meal inspires us to cook something wonderful, reading a superbly written book or re-reading one by an author we admire, to paraphrase Madeline, teaches, inspires, and rejuvenates us. Miko first contemplated a writing career as a poet at age six. That notion ended four years later when she found no ‘help wanted’ ads for poets in the classified section, but her desire to write persisted. 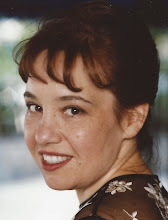 After graduating from New York University, she headed west to pursue a career as a journalist before switching to fiction. 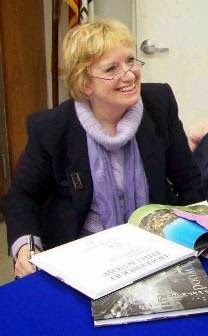 She is the author of the A Petal In The Wind Series, including recently released Book III – The Great War . Miko lives on Whidbey Island in Washington.